Saving a freshman from bullies? Check. Swapping insults with the head cheerleader? Check. Falling for the star quarterback? So not a part of her plan. 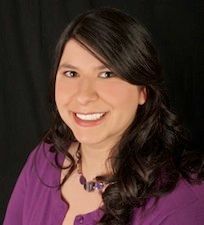 My 4 Star “You Have My Attention" Review Oh I am paying attention to you Crista McHugh!! I don't read YA very often, I am just to old and usually wind up annoyed with the antics of the characters and unrealistic story lines. I also find that many YA stories are really adult stories with very adult situations and the characters replaced with 16 and 17 year old 's that normally would not behave in the manner that the stories have them doing. Not very realistic to me at all. But every so often, one will really grab my attention, I'll read it from start to finish, sit and think about it, think about it for days after, and realize how much I actually enjoyed story. Enjoyed it because of the reality of the situations, settings, and behavior. These are the type of YA stories I can get on board with. 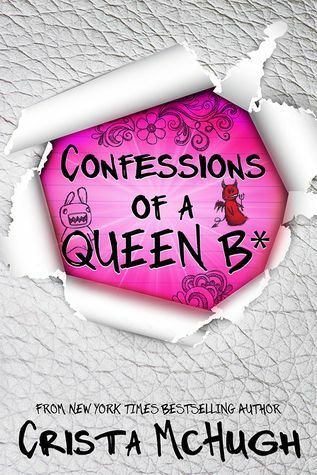 Confessions of a Queen B* (The Queen B* #1) was that every so often exception for me. I loved Alexis. I found her so realistic in her behavior and attitude. She was basically your A-typical teen that turned in to a very bitter and vindictive girl after a huge betrayal by her best friend. A betrayal so unforgiving because it was done to better her friends status in the hierarchy of high school. Now that's reality to me. I can remember things like that happening in high school. And it's hurtful because it is so out of left field not seeing it coming and you are just left with the whys and the hurt of the actions. After that, Alexis picks herself up and gathers every bit of strength she has to move on. She starts a blog reporting on all the school happens and exposing not so nice behaviors to the point that she becomes feared earning her the title of "The Queen B*". Alexis' day to day moves along like clock work, controlled and removed, until science class when she is paired with Brett, the high school quarterback and Mr. Popularity. Now Brett appears to be a nice guy but there is no way Alexis will trust him or her feelings because he is the boyfriend of Summer Hoyt, the former best friend and now nemesis that betrayed her. The banter between Alexis and Brett is completely amusing and sharp tongued. And even though there were some good secondary characters, Richard and Morgan, Alexis' friends, I enjoyed Alexis and Brett the most. Especially their private working moments. You could definitely see there was more to Brett than meets the eye and slowly but surely, Alexis is worn down and starts revealing bits and pieces of her true self. The story had a fantastic flow and the characterizations were spot on and very likable. You were definitely rooting for these two and planning the demise of Summer in your head. Now the ending, though it finished up a tad bit to fast for me, and left off with a lot of what happens next with Alexis and Brett, I would still highly recommend the story. And knowing there will be a book 2 out in September makes it even more acceptable. I will be looking forward to more from these two crazy kids and hoping the continuation is as good as the start! It really was and I am hoping book 2 is just as good!